Do you want the perfect mouth watering steak to impress your guests? I use this all time favorite summer recipe over and over and never fail to get rave reviews. The best news is it only takes a few minutes to prepare. 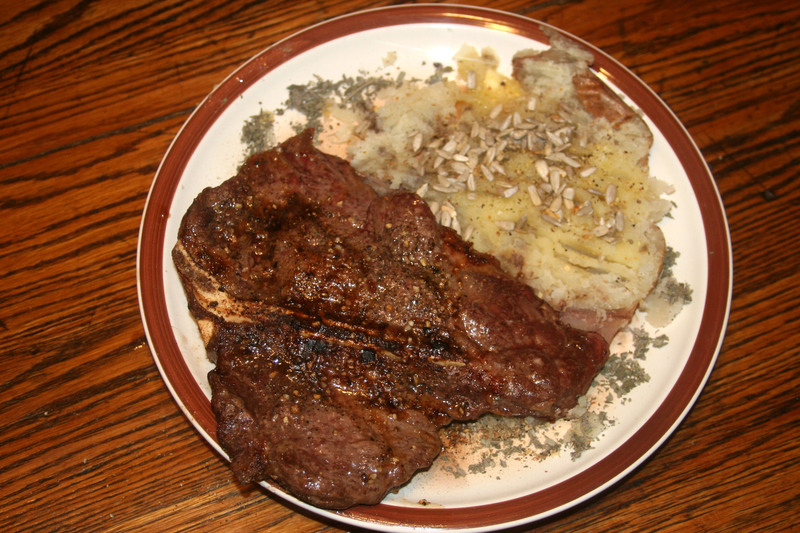 Combine all ingredients except steak in a baking dish. Place steaks in the mixture for a couple of seconds, then turn to coat the other side. Let marinade for at least 30-60 minutes on each side. Place on hot grill and barbeque for 6 minutes on each side (for medium rare steaks – longer if you prefer). Serve with baked potato and fresh tossed salad.